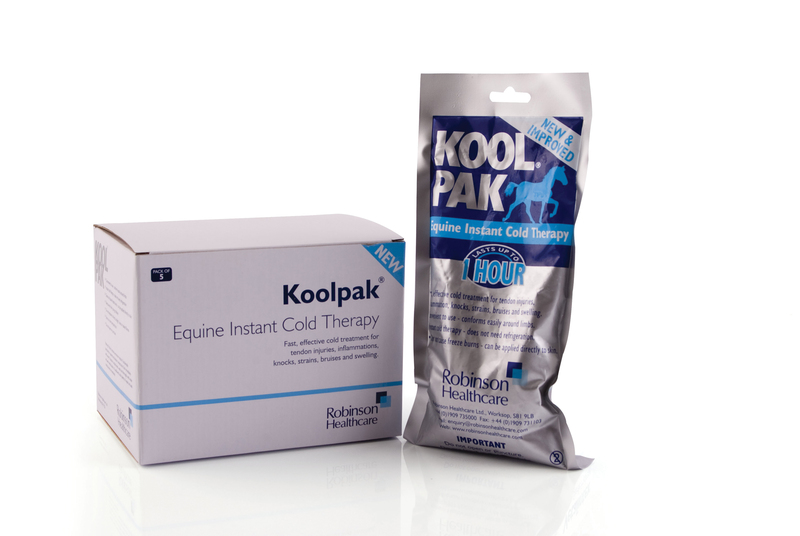 Koolpak from Robinson Animal Healthcare provides instant relief to legs reducing heat and swelling with cold therapy. It lowers the temperature at the site of injury through heat exchange and constricts local blood vessels. This reduces cell damage and fluid build-up. Koolpak is also ideal for use after competing, particularly on hard ground. It provides instant relief to the leg area and is suitable for all horses. Easy to use, you simply squeeze the inner sachet in the pack to release freezing liquid. It can be applied directly to the skin and if necessary held in place with a bandage. The Koolpak will remain effective for up to one hour.